Fabio Capello is to remain as England manager, the Football Association confirmed on Friday afternoon, bringing a swift end to speculation about the Italian's future. The decision was taken following a meeting of the four-man Club England board, which decided unanimously to keep Capello, despite the Three Lions' woeful performance at the World Cup. The full Football Association board subsequently ratified the recommendation, which means Capello will now continue until the end of Euro 2012. 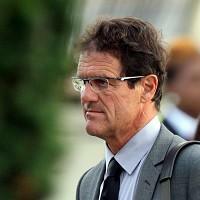 "I am more determined than ever to succeed with the England team," said Capello. "Sir Dave Richards has called me to tell me everyone at The FA wants me to continue."